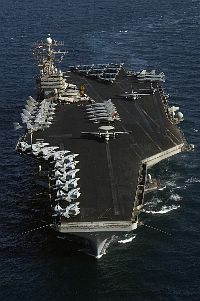 Official U.S. Navy file photo of USS George Washington (CVN 73). 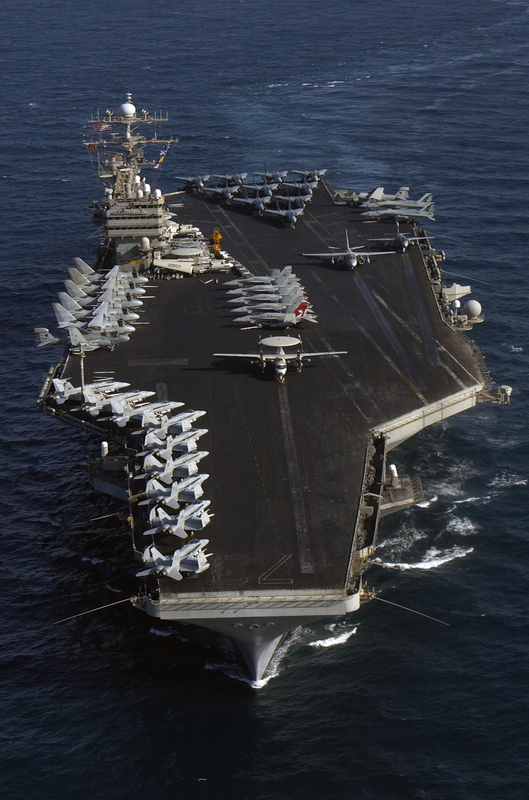 WASHINGTON (NNS) -- The U.S. Navy announced Dec. 2 that USS George Washington (CVN 73) will replace USS Kitty Hawk (CV 63) as the forward-deployed aircraft carrier in the western Pacific and will arrive in Yokosuka, Japan, in 2008. George Washington is currently homeported in Norfolk, Va., and is receiving necessary maintenance and upgrades at Northrop Grumman Newport News Shipbuilding to facilitate this forward deployment. The forward deployment of George Washington will not necessitate a change in the assigned air wing in Japan, nor in the composition of the air wing. Carrier Air Wing 5 will remain the forward-deployed air wing. This rotation is part of the Navy’s long-range effort to routinely replace older ships assigned to the Navy’s forward-deployed naval forces with newer or more capable platforms. It is part of an ongoing effort to consider the nature of all forward deployed forces when looking at the unpredictable security environment in the western Pacific. George Washington was commissioned July 4, 1992. The ship returned from its sixth deployment in July 2004. It deployed to the Mediterranean Sea and Persian Gulf in support of the global war on terrorism. For more news from around the fleet, visit www.navy.mil.